Windows Search does a great job of indexing MSG files and their content, including any attachments. 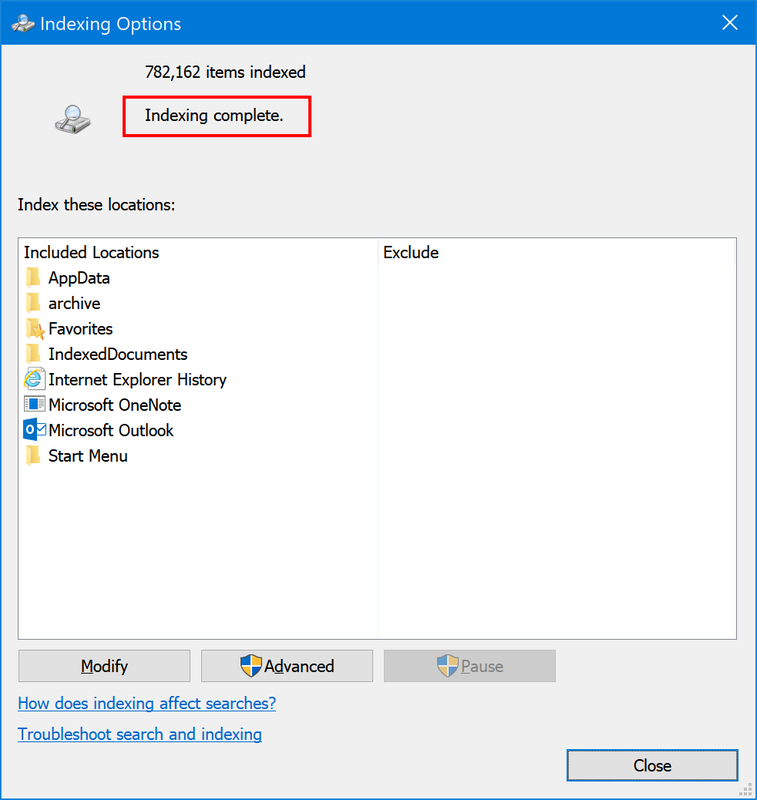 Before you can start searching, you need to configure Windows Search to index the folders which contain your MSG files. Follow this guide to perform the one-time configuration step to add your folders with MSG files to the index. After that, you will be able to perform searches for any words in the subject, body, attachments, sender name, recipients of the MSG files. Note: these instructions apply to all MSG files, whether or not you used MessageSave to save Outlook messages. Open Windows "Indexing Options" applet. Open Windows Settings - hit Windows Key + I, or click the Start button then click the settings button (gears). Type "indexing" in the Search box at the top and select "Indexing Options". Type "indexing" in the Search box in the upper-right and click "Indexing Options". Click "Modify" at the bottom of the "Indexing Options" window to open the "Indexed Locations" window. Add folders to the index. 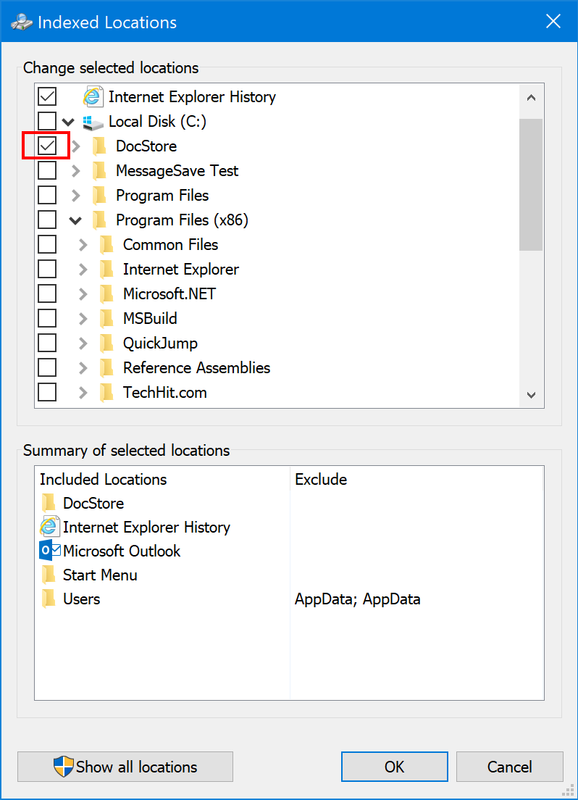 In the "change selected locations" pane at the top, expand the drive which contains the folders with MSG files and check the box next to the top level folder. Wait for Windows Search to index the files. The "Indexing Options" window will show "indexing complete" at the top. Type the search words in the Windows Explorer search field (in the upper-right). If you used MessageSave to save the MSG files you can also enable additional columns which show message specific information, such as "Sender Name", "Date Modified", "To", "Cc", "Has Attachments", "Categories", etc. We hope you have found this information useful. If you have any questions, do not hesitate to let us know.